Class of 2020 guard SeanKelly Darks of Cincinnati, Ohio, is showing herself to be a must track guard in the class. 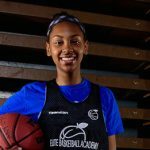 Brandon Clay’s takeaway – EBASuper64 Camp (June 2017): Darks continues to get better with her overall skill set since my first evaluation as a middle school prospect. She’s filling out physically while maintaining the ability to handle the ball on the perimeter. 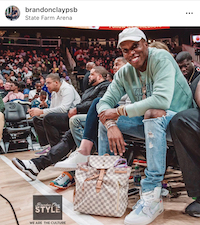 I envision Darks as a primary ball handler with the scoring ability to slide over to the off guard position at times as well based on time, score and opponent. She also showed a willingness to defend on the ball in this elite camp setting. 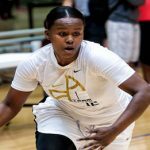 Brandon Clay’s takeaway – EBAAllAmerican Camp (August 2018): Darks continues to level her game up with each new evaluation. 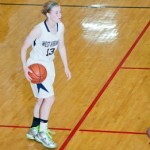 She has the size, strength at the guard spot to attack the lane consistently. Her jump shot is much improved from this same stage a year ago. That combo is allowing Darks to essentially play any of the three perimeter positions based on matchups, style. In that way, she’s a versatile option in the new age ear of backcourt play. ‘20 G SeanKelly Darks will play for All-Ohio EYBL #PSBFamily. ‘20 G SeanKelly Darks (OH) was named ECC Player of the Year. 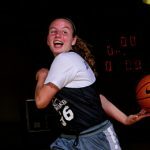 “We make sure everyone knows your name.”@Coachlazar & @OGBR_Basketball’s Bryce McKey think highly of ‘20 G SeanKelly Darks. ‘20 G SeanKelly Darks (OH) grew her game in a training session with @ChrisHansenPSB. ‘20 G @SeanKellyDarks (OH) of @PhenomWBB visited @BelmontWBB last month. 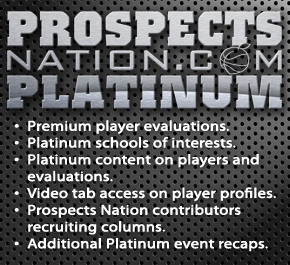 Entered 30 new HS pieces of recruiting news, notes & video clips including ‘20 @SeanKellyDarks of @PhenomWBB adding multiple offers. ‘20 G SeanKelly Darks (OH) adds an offer from Akron. ‘20 G SeanKelly Darks (OH) to visit Belmont this month. @CoachHemi is a fan. ‘20 SeanKelly Darks (OH) is a versatile G.
She has an Ohio offer. ‘20 G SeanKelly Darks (OH) has a New Orleans offer. 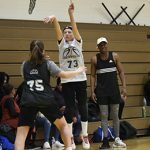 ‘20 G SeanKelly Darks (OH) is coming off of a dynamite July. 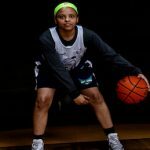 Multiple offers already, still traveling to grow her game. ‘20 G SeanKelly Darks (OH) of @phenomwbb caught @shotbylarry’s  & had @LadyAggieBall’s full attention. 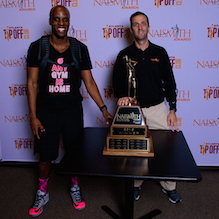 Both @seankelly_darks & @LyricHarris5 of @PhenomWBB have offers already. Come see them in Louisville on the night of the 8th. Coach Hemi knows ‘20 G @seankelly_darks (OH) of @PhenomWBB & @EaglesWh. Big weekend on deck for @PhenomWBB. Led by @seankelly_darks, they’ll have another chance to shine in Louisville during July as well. ‘20 G SeanKelly Darks (OH) of @PhenomWBB is one to watch. Multiple offers already. 10:50 am tip on Friday. ‘20 G SeanKelly Darks (OH) named All-ECC First Team for Walnut Hills HS. 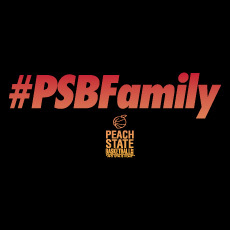 Ages: 2019 – 2025#PSBFamily Phenom will bring multiple teams. Available ‘20 G SeanKelly Darks (OH) has @EaglesWh & @coachlazar off to a fast start. They’ve already won hardware & are looking for more. Plays w/ @PhenomWBB during club. ’20 G SeanKelly Darks (OH) worked w/@AndrayaCarter on Sat. Sept. 2-3#SMPMember ’20 G SeanKelly Darks (OH) has South Florida’s attention. ’20 G @seankelly_darks of @PhenomWBB keeps growing her game. 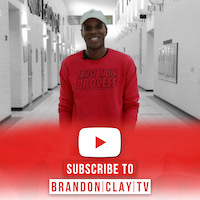 @BonesBallNPrep took notice. ’20 G SeanKelly Darks (OH) is visiting Northern Kentucky this week. ’20 G @SeanKelly_Darks caught @JDavisPSB & @JLHemingwayPSB‘s attention at #EBASuper64. ’20 G Sean Kelly Darks (OH) is in the mix for a @CoachHemi eval.